Cisco TelePresence MX700 and MX800 represent the performance line within Cisco’s portfolio of integrated video collaboration room systems. They combine beautiful design and powerful functionality into an all-in-one solution for medium-to-large meeting rooms. 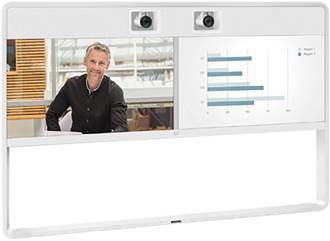 These multipurpose systems will transform your meeting room into a video collaboration hub – whether for connecting teams across the globe or for local meetings. The MX700 and MX800 feature dual LED monitors for a people-only or people-and-content experience. The MX800 is also available with a single LED monitor for a peopled-focused solution.